Laura's House holds several fundraisers throughout the year. Please join us at one of our upcoming events and invite a friend! Laura’s House is excited to celebrate our 25th Anniversary in 2019! OUR 2ND ANNUAL FESTIVAL OF THE HEARTS HAS BEEN RESCHEDULED DUE TO RAIN…JOIN US ON MAY 11, 2019! Unfortunately, because of a high chance of rain all day on Saturday, we have made the decision to reschedule this year’s Festival of the Hearts event. We sincerely apologize for any inconvenience this may cause and hope to see you all on May 11, 2019 for an even bigger, inspiring and motivating event! Previously purchased tickets will be valid on the new date. If you are in need of a refund, please contact Yanira Mendez at ymendez@laurashouse.org or 949-361-3775. We appreciate your understanding and look forward to seeing you in a few months. 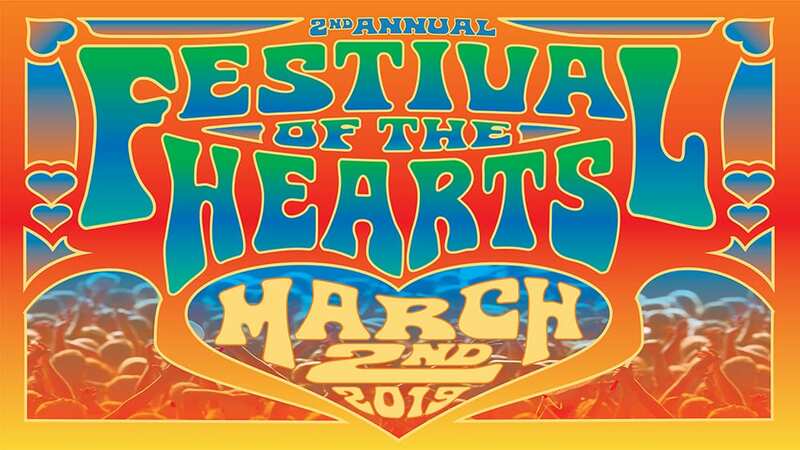 Join us for the 2nd Annual Festival of the Hearts, presented by Laura's House and Tilly's Life Center. We will gather local youth, parents and teachers for a youth education and empowerment day at Saddleback College. This event will educate attendees with the themes of healthy relationships, cyber safety, positive thinking and affirmations, safe dating, social media and bullying, substance abuse, and warning signs. The event will feature live music, educational workshops, interactive social activities, vendor and resource booths, breakfast and lunch, as well as giveaways. Tickets are $10.00 per person, and all attendees will receive raffle tickets, a swag bag and a 'Festival Insider' booklet with promotions and coupons offered by our sponsors and vendors. Registration opens at 8:00am, and program begins promptly at 9:00am. Event includes free parking. Event Sponsorships and Tickets available. Support Laura’s House on February 12, 2019 as we aim to raise vital funds to support our youth education and prevention programming, allowing our youth to identify red flags, healthy relationships and healthy conflict resolution. On February 12th, Click here to give toward supporting healthy teen relationships in OC and the role we play in teen dating abuse prevention and education. Join us for meaningful conversations, networking and an expert panel on Teen Dating Violence in Orange County. Register here for this free event - Download Event Flyer here. Join Laura’s House and the San Clemente Kiwanis for a pancake breakfast served up by our wonderful Volunteers. The Freedom Run, 1k/5k/10k run will take place in Ladera Ranch, Visit www.runladera.com to register today. Laura’s House will be the primary beneficiary from the event and receive all of the proceeds from the pancake breakfast sales. Join us for our Annual Gala, celebrating 25 years of service to the community. Enjoy a cocktail reception, silent & live auction and dinner reception at the Fashion Island Hotel, Newport Beach. We will be honoring individuals and corporations that have contributed integral support to the programs and services we provide. Sponsorships, tickets and ads will be available. Laura’s House fundraising events are a wonderful way to raise awareness on domestic violence issues and much needed funds to support Laura’s House and of course, have a bit of fun in the process!